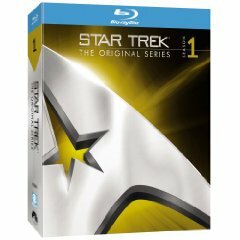 Our number one Blu-ray pick of the week is “Star Trek: The Original Series – Season 1” . These classic Star Trek episodes were beautifully remastered in 1080p high definition, encoded in VC-1 and presented at 1.33:1 aspect ratio. Episodes include “The Man Trap”, “Where No Man Has Gone Before” and “Mudd’s Women” among 29 others which you can watch in the original format or with updated effects. The 7-disc set on dual-layer BDs also boasts lossless DTS-HD Master Audio 7.1 (or Dolby Digital 2.0 Mono). If you don’t have it already pick it up right now at Amazon for only $64.99, (50% off its MSRP of $129.99). 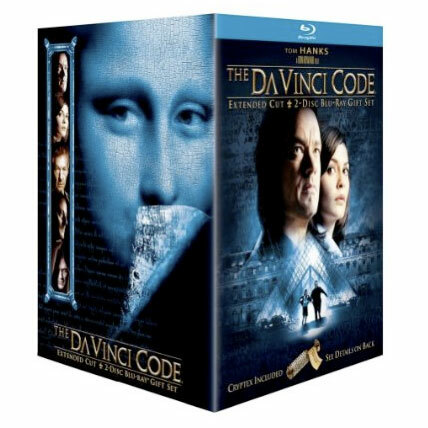 Two weeks ahead the release of the newest Dan Brown novel turned motion picture comes “The Da Vinci Code” on Blu-ray. The film has been released as both a Two-Disc Extended Cut and special Gift Set. Both versions come with 2 discs for a total of 174 minutes. Video is encoded in MPEG-4 AVC at 1080p and is presented in 2.40:1 aspect ratio. Audio is formatted in Dolby TrueHD 5.1. The Gift Set includes an exclusive reproduction of the Cryptex used in the film & a copy of Robert Langdon’s Journal. Video transfer is not the best but this blockbuster is sure to entertain. Academy Award winner “The Reader” is a disc you may want to consider for your hi-def collection. Not a blockbuster by any means but a great film given its excellence in cinematography, writing and acting. The story follows Michael Berg (Ralph Fiennes), a German Lawyer who falls in love with Hanna Schmitz (Kate Winslet) who disappears but later ends up as a defendant in a Nazi war crimes trial. Winslet won an Oscar for Best Actress and the film was also nominated in the categories of Best Cinematography, Best Director, Best Picture and Best Screenplay. Video is encoded in MPEG-4 AVC at 1080p with an aspect ratio of 1.85:1. Audio is Dolby TrueHD 5.1.
numbers 1 and 2 yes – the reader I can wait on.